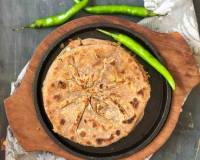 Spring Onion Parathas is a nice way to give a new twist to your regular parathas and is perfect to serve in your lunch box. 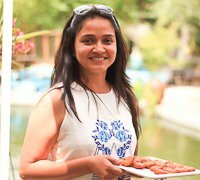 It is super simple to make and you can serve it along with a raita and aloo tamatar sabzi for lunch or dinner. 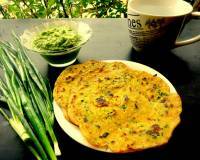 Spring Onion Parathas is a nice way to give a new twist to your regular parathas. 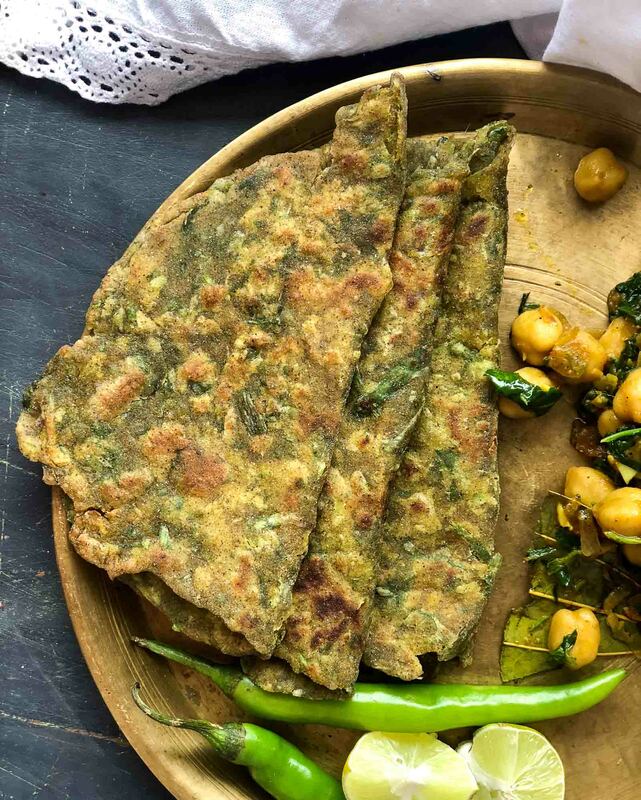 We usually make Palak Parathas, Aloo Parathas & Methi Parathas quite regularly at home, but this paratha is surely a winner. 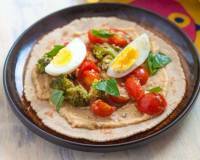 It is a perfect dish to pack in your and kids lunch boxes. Serve Spring Onion Parathas/ Hara Pyaz Paratha with Burani Raita or Tomato Onion Cucumber raita and Dhaniya Pudina chutney for a delicious meal. To begin with Spring Onion Paratha/ Hara Pyaz Paratha, first chop the spring onions using the turbo chop and keep aside. In a large mixing bowl, combine the flours, salt, turmeric powder, cumin powder and the chopped spring onions. Add little water at a time and make a smooth and yet firm dough. Divide the Hara Pyaz Paratha dough into 8 portions. Preheat the iron skillet on medium heat. 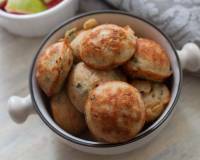 Roll the Hara Pyaz Paratha portions into balls and flatten them with the palm of your hand. Toss them on flour and roll them out into circles of approximately 3 inches in diameter. We need to get a triangle shape, to do so, first fold into a semi-circle, then fold the semi-circle into half again. You get a mini triangle shape. Tossing the triangle on a little flour, roll it out gently into a larger triangle. Continue the same process of rolling with the remaining dough portions. 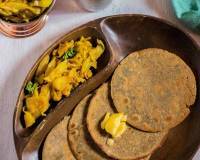 With skillet on medium high heat, place one rolled out Hara Pyaz Paratha on the skillet. After a few seconds you will notice an air pockets popping out. At this point flip the Hara Pyaz Paratha and smear about 1/2 a teaspoon of ghee. Using a flat spatula do a light pressing and turning motion to cook to the paratha. Flip to the other side and press and turn the Hara Pyaz Paratha in a similar way. You will notice brown spots around the parathas and it will be slightly crisp. 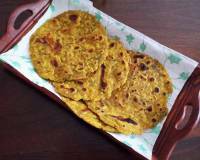 Remove the Hara Pyaz Paratha from heat and place on a platter or serve hot. 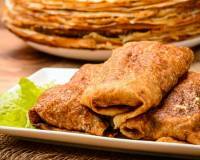 Continue the similar process with the remaining rolled Hara Pyaz Paratha portions and stack the cooked Hara Pyaz Paratha one above the other. 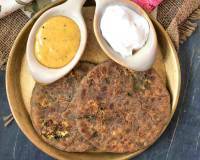 Serve Spring Onion Parathas/Hara Pyaz Paratha with Burani Raita or Tomato Onion Cucumber raita and Dhaniya Pudina chutney for a delicious meal.